There is nothing funny about the real Donald Trump, a raisin company mascot channelling the spirit of an internet commenter. 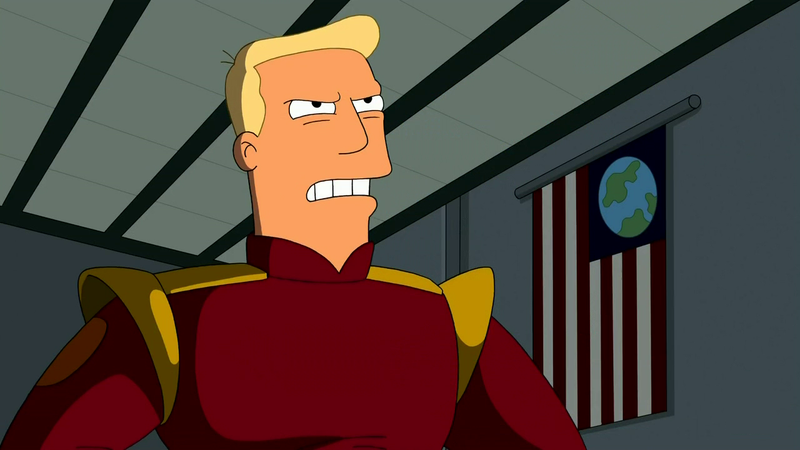 What is funny is the voice actor behind Futurama’s Zapp Brannigan reading some of Trump’s dumbest quotes in character. UPDATE, SEP 28: Now featuring snippets from the first Presidential debate. Billy West—who also voices Fry, Prof. Farnsworth and Zoidberg—tweeted some of the clips earlier today. Boy, it’s time to go watch some Futurama again.